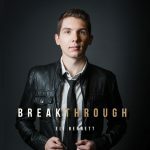 The Official Site of Saxophonist & Film Composer Eli Bennett » Eli Bennett’s debut album “BREAKTHROUGH” Released!! September 2, 2016 (Vancouver, BC) – Eli Bennett’s debut album Breakthrough is now released and available for purchase or digital download! Signed copies of Breakthrough may be ordered directly through this website by completing this FORM.